MOSCOW (AP) — Four people were wounded Saturday in an explosion at a meeting of the local Communist Party in the largest city in Ukraine’s separatist east. The blast occurred in Donetsk, capital of the Donetsk region, where Russia-backed separatists have been fighting Ukrainian forces since 2014. The separatist government said in a statement that preliminary information indicated it was caused by a bomb. It did not say how seriously any of the four victims were wounded. 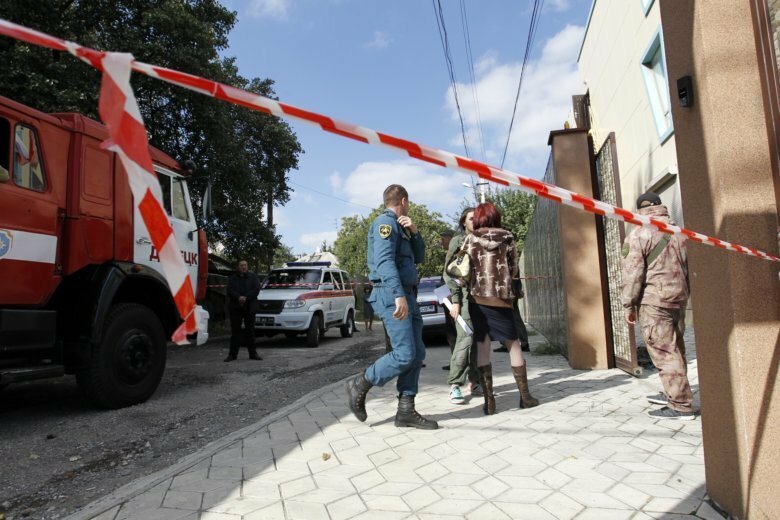 The explosion came a month after Donetsk separatist leader Alexander Zakharchenko and a bodyguard were killed in a blast in a cafe in Donetsk. Russia’s state news agency RIA-Novosti said one of the wounded was local Communist leader Igor Khakimzyanov, who intends to run in November elections to choose a successor to Zakharchenko. More than 10,000 people have been killed in fighting between Ukrainian forces and rebels in Donetsk and the neighboring Luhansk region.